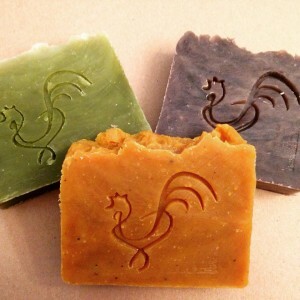 “All of our soaps are handmade from oils using the hot process soap method. Using this methods allows me to pick and choose what extra moisturizing oils are added to the bar after the soap making process is complete. The soaps are made with GMO free, sustainably harvested, food grade oils. We never use canola or vegetable oil! 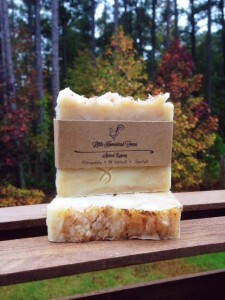 They are made in small batches and each individual bar is hand cut. No dyes are ever used to add color. All coloring is done using natural mix ins (i.e. ground fruits, spices or natural clays). Please allow for slight variations in color and size. Our soaps do not contain any bar hardeners. To extend the life of your handmade soap keep it on a ventilated soap dish and let dry between uses. Each bar weighs approximately 4.5 oz. 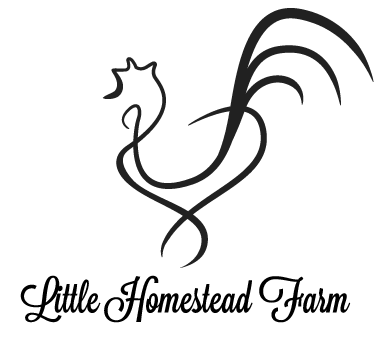 Follow Little Homestead Farm on Facebook!